India is the second-biggest cement producer in the world, after China, and when it comes to taking action on climate, three of the country’s major players are leading from the front – Dalmia Cement, Ambuja Cement and UltraTech Cement. In a country where both population and urbanization are growing rapidly, there’s plenty of potential for growth in the sector. However, as last year’s IPCC report indicated, there has never been greater urgency to reduce greenhouse gas emissions across all sectors and geographies in order to limit global warming to 1.5°C. This means that the built environment in India, and globally, now needs to fast-track to zero-carbon. By 2050, the world’s urban population is expected to increase to 9.7 billion, from 7.3 billion today. Demand for cement is subsequently forecast to grow steadily, rising by a total of 12-23% by 2050. Predictions are that Africa and India will see a tripling of demand over the next 35 years through urbanization. Currently, the US and Europe account for only 13% of global cement production, China accounts for 60% (likely to fall as construction boom ends). However, this growth in demand will be accompanied by increasing global pressure for business to cut emissions in line with the Paris Agreement goals – since governments will not be able to meet their own targets without the support of business. And the cement sector is a critical part of the solution as the second-largest industrial greenhouse gas emitter – responsible for 7% of global emissions. This presents a challenge to the global cement sector worldwide to be ambitious on climate and invest rapidly in research and development if it is to innovate at the rate customers and regulation will require. At the time of writing, 40 companies in India have made commitments to tackle their impact on the climate through the We Mean Business Take Action campaign – which includes setting science-based targets, committing to 100% renewable electricity and doubling energy productivity. Public climate targets like these are a clear way that companies can demonstrate to their customers, investors and other stakeholders that they are already working to future proof growth in the transition to zero-carbon economies. Dalmia Cement has set the bar high, by committing to become a carbon-positive business by 2040. While it is recognised that the pathway to get there is not yet entirely clear, Dalmia’s commitment demonstrates to investors, regulators and customers that the company is embracing the opportunities of the zero-carbon transition. Dalmia Cement and Ambuja have committed to setting science-based targets with the Science Based Targets initiative to help them define how much and how quickly they need to reduce their greenhouse gas emissions – both in their direct operations and in their supply chain. 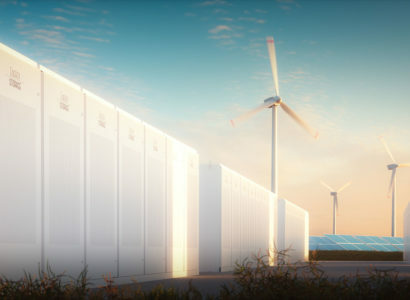 Both companies are now in the process of setting their targets – which will then be assessed by a team of experts to confirm they are ambitious enough. Fellow Indian company UltraTech Cement, along with Dalmia, is signed up to double its energy productivity with the EP100 initiative, led by The Climate Group. Through initiatives like the Climate Action 100+ and the Investor Agenda, investors are increasingly calling for action on climate both by companies and governments. Under Climate Action 100+ more than 300 investors with over $32 trillion in assets are engaging 100 heavy emitting companies on improving governance, curbing emissions and strengthening climate-related financial disclosures. Meanwhile, the Investor Agenda, launched at the UN climate talks in Poland in December 2018, called on governments to bring in various policies including “phasing out thermal coal power”, “putting a meaningful price on carbon” and “phasing out fossil fuel subsidies.” Germany has recently announced an end to coal burning by 2035-2038 and while this is not quite ambitious enough, it is a signal that many other countries may follow suit and industry should be prepared. Cities are starting to play a key role in driving change in the built environment. Some 22 cities so far from Cape Town to Tokyo have committed to the World Green Building Council’s Net Zero Carbon Buildings Commitment, launched last year. This will require them to enact regulations and planning policies, to ensure that all new buildings within their jurisdiction are operating at net zero carbon from 2030; and all buildings, including existing, to operate at net zero carbon by 2050. Some 12 companies and 4 states and regions have also signed up to this commitment. In India the Kochi Municipal Corporation (KMC) has partnered with World Resources Institute India (WRI India) to develop a roadmap and action plan for all buildings to achieve zero carbon potential for Kochi city. Innovation will play a critical role in enabling cement companies to meet their bold targets on climate – and this will inevitably disrupt the sector. 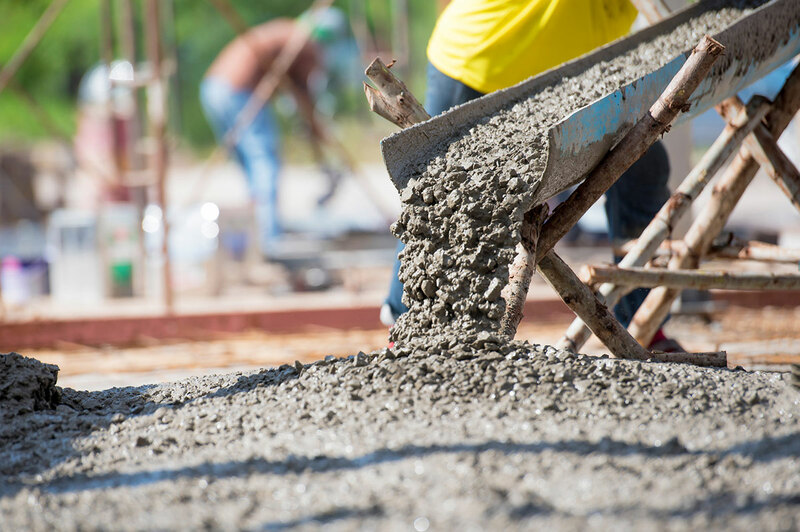 Recent research by the Energy Transitions Commission shows that reaching zero-carbon emissions in the ‘harder-to-abate’ industrial sectors, including cement, is achievable by mid-century. 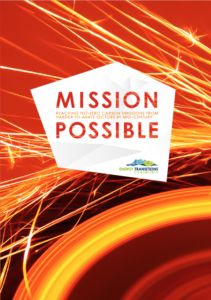 New research published in October 2018 reveals that the sector can reduce its emissions by 80% by 2050 with existing technology alone. Reducing process emissions from cement, by optimizing clinker usage, is one area where a number of cement companies are already innovating. Ambuja Cement, Dalmia Cement and UltraTech Cement are using low-grade limestone, along with fly ash (waste from thermal power plants) and slag (waste from the steel industry) in their blended cements – this is an effective way to both recycle industrial waste and reduce the companies’ carbon footprints. Blended cements now account for nearly 80% Dalmia Cement’s product portfolio and over 90% of Ambuja’s. Ambuja’s other innovations include the launch of its Autoclaved Aerated Concrete (AAC) blocks in 2018 as an alternative to conventional bricks. The better insulation properties of the AAC blocks reduce the need for energy to power either air conditioning or heating. In addition Ambuja is working to reduce water use through modular curing, instant mix proportion and rain water harvesting services. These not only help protect India’s water security but also indirectly reduce emissions that would have otherwise been used to lift and pump water. Thanks to these efforts, the companies are seeing significant results. Dalmia Cement has optimized clinker factor from 81% to 63%, and reduced its carbon emissions by more than a third, from 1990 levels. UltraTech Cement and Ambuja have also made strong progress. By last year, Ambuja had reduced specific carbon by over 31% (compared to 1990) and is aiming to cut carbon by one third by 2020 and 40% by 2030. 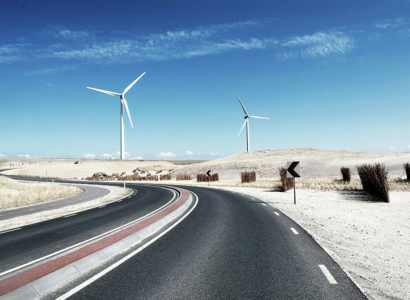 Powered on by their drive to find innovative solutions to their emissions, companies are developing expert partnerships. Dalmia Cement has partnered with the École polytechnique fédérale de Lausanne in Switzerland and IIT Delhi to develop new ways to produce high-blend cements, even in locations where slag is not available. Ambuja Cements has founded Ambuja Knowledge Centres, working with architects, engineers, and construction professionals to foster product innovation and sustainable construction across the industry, helping both Ambuja and its customers to reduce their carbon footprint. Recently, UltraTech has filed four patents for products which require less natural resources such as fossil fuels and limestone as compared to conventional products. These products will eventually help to save water and utilize waste from other industries resulting in lower environmental footprint. Following the IPCC report, national governments recognise that they need to step up their own ambition on climate. India is already a leader in renewable energy and EVS. 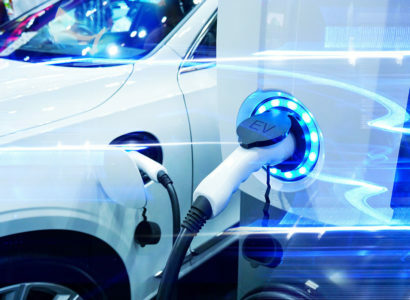 At the end of June 2018, renewable energy capacity in India accounted for over 20 percent of the total mix and it’s aiming for at least 15% of the vehicles on its roads to be electric in five years. What we are seeing globally is a series of ‘Ambition Loops’ which demonstrate how corporate ambition on climate drives greater policy ambition and vice versa. In 2014, India set a bold target to develop 100 gigawatts of solar capacity by 2022. In support of that goal, the State of Karnataka set its own target to develop 2 GW of additional solar generation by 2021. However, certain charges on solar generation meant that solar power prices varied widely, making it less competitive and less attractive to businesses than electricity made from fossil fuels. The Green Power Market Development Group, a coalition of Indian and international companies working to purchase renewable electricity, asked regulators to provide clarity on the timeline of charge exemptions for solar projects in Karnataka. In response, the Karnataka Electricity Regulatory Commission created a clear 10-year timeline for charge exemptions. With this clarity and confidence about future price levels, corporate solar purchases grew quickly in Karnataka, jumping from zero megawatts of additional solar capacity to over 1,000 in the following four years. This made Karnataka the state with the most open-access solar energy projects in India. Individual company actions on climate will not be enough to meet the Paris Agreement goals, but systemic transformation starts with incremental shifts. By demonstrating their ambition and vision in embracing the zero-carbon transition, these Indian companies are future-proofing their businesses and reaping the rewards of greater innovation, investor confidence, profitability and competitiveness. Improve energy efficiency: 20 possible technologies (including retrofits) and measures together could deliver 10% energy savings on the typical thermal cement production process (most with a 2- year payback period). Change the fuel for heat: The heat needed to produce clinker makes up 35% of emissions from cement production. This can be reduced in the short term by switching from coal to gas. Longer term, cement companies can explore increasing the use of waste or biomass as a fuel (which requires only a modest retrofit to existing kilns); replacing fossil fuels with hydrogen (which requires furnace redesign) and switching to electricity as the heat source.